Divine Job says: From my mother’s womb I have fallen into the pit. Did you hear? That is all that life on earth seemed to him after 400 years. As after having put him through all that trying time, God gave him another 140 years of life – after having tested him with so much torment and so many illnesses – and that’s all that life seemed to him: that from his mother’s womb he had jumped into a pit. Life seemed like a mere jump to him. And again: My days have gone like smoke and my bones have dried up like dryness. And again: The days of our years are like the spider-web. The days of our lives are likened to a spider-web. That is, our life on earth is just as fragile as the spider-web; we are shadow, dream, and flower, on earth! God tells Isaiah: Listen, prophet, call out to the people and tell them: All man’s body is grass and all man’s glory is like the flower of the grass. The grass has wilted and the flower has fallen, yet God’s word remains for ever. So let us not rely on this life, brothers, because it’s nothing but shadow and dream. But do you know what remains for eternity? Our soul. It is clear that our bodies turn to dust. As we bury and unbury our dead one can see how little time it takes for them to turn into dust. Especially after a while, not even the bones remain; it all turns into nothingness. This is also the first of God’s commandments, that one is dust and into dust one shall return. Yet the soul never dies. The soul remains unto the ages of ages, because it is spirit and cannot die. That is how God has made it. 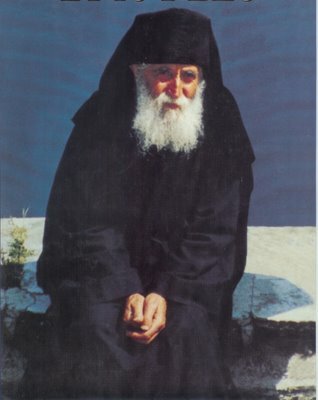 But in order for you to know what happens to our soul when man dies, I will tell you about the journey that the soul takes right after death, according to the tradition of the Orthodox Church. From the moment of our death until 40 days later – when the individual judgement of the soul takes place and God decides where we will go, to the good or the bad places, until the Last Judgement – there is a transition time, for both the righteous and the sinners. When a person dies and his/her soul is about to depart, there are as many devils that show up before him as the number of sins s/he has had; in the same way, a number of saints appear, according to the number of good deeds he did in his life. This is what St. Ephraim the Syrian indicates. This Father knew the time of his death a week before he reposed, as he was a man chosen by God, as nuns were saying. But not everyone gets to see such mysteries and is able to tell others about it; most people see them but cannot speak about them. Because this angel not only guards us now, but also us at the time of our death. He travels with us through the aerial toll-houses, until 40 days pass; and we have him from our divine Christening as a great protector. If it weren’t for him, the devil would do with us whatever he would want. Listen to the Psalm book: The one who guards you should never sleep. And again: God’s angel will go upon the ones who are afraid of Him and will deliver them. So it is clear that the angel is the one who guards us in this life and after we die, for 40 days. So the angel comes and says: “Clear away, you demons. I know the life of this soul, ever since s/he was born.” And he starts speaking to the soul thus: “Don’t be afraid, my soul brother!” St. Gregory of Nyssa explains why he calls it brother. Because the angel and the soul are rational, autonomous, speaking, beings and are also spirits, as the Holy Scripture says: And they will all be like God’s angels. [And the angel continues:] “Behold your body! There, my soul brother – that is your body, that is the house in which you have lived until now. It’s been within that shell that you were begotten by your mother’s womb; it was within it that you have lived for 20, 60, 80” – whatever number of years God has given us on earth (since all life strings are with God, not with us). “Remember, my soul brother, when the Last Judgement trumpet calls, within the blink of an eye this body will come back to life, just as you see it now, and you will re-enter it and go to the Judgement, as Apostle Paul says: They will all stand before the Judgement Throne of Jesus Christ, to be rewarded according to their deeds, whether good or bad. The guardian angel reminds him again: “Look, my soul brother, when you were a little child, your mother has sent you to bring a bucketful of water or vegetables from the garden or bring the geese back from the meadow or do this or that little household chore. Look, this is what your thoughts were then; this is what you understood then”. And he starts reminding the soul things from his/her early childhood, good deeds that s/he did in his/her body, as well as bad things. “Look, this is what you did when you were in your first grade, in the second grade, in the third grade; this is what you would do. Once you grew up to be a young girl or lad and went out into the world, and then got married, this is what you did”. And he reminds the soul everything s/he did from early childhood until the moment of his/her death, on every day and in every minute of his/her life. Because once it is out of the body, the soul has a very sharp memory. It is as clear as sunlight. The earth no longer pulls it down and neither does its body, to interfere with its memory. It sees everything as clearly as in a mirror. So that is what happens on the first day after death. On the second day, a more fearsome thing happens. The guardian angel takes him to all the places where man has been during his life. It is at this point that what is described in the Psalm book happens: What do I fear on the bad day? That the lawlessness of my heel will surround me. The soul will go around the whole globe in a blink of an eye. Both our soul and our guardian angel travel faster than lightning bolt, as the Bible says: They will run, oh, God, faster than lightning; the souls of the just will return to You, as we read in Ezekiel and in many other places. The soul is a thinking being. No sooner than uttering a word and thinking it, I have already done the tour of the earth; like I would say now: Peking, New York, Moscow, Bucharest, Sihăstria [- and I’m already there]. The soul travels so quickly after we leave our bodies. And there is no problem for it whatsoever to travel with its guardian angel and visit all the places he has been to throughout his life. He will only think about the place and he’ll already be there, because it travels with the speed of thought. So where does the angel take him on the second day? He takes him everywhere the man has been throughout his whole – life and shows him where he has done good things and where he has done bad things. He does nothing but show him the truth. And he also shows him the good deeds: “Look, soul, here you went to Church; here you listened to the word of God, here you gave alms to the poor; here you taught the children about the fear of God; here you read the holy books, here you bore your troubles with joy; here you shared a useful piece of advice with another person; here you dressed the naked, here you gave water to the thirsty, here you received the strangers”. He shows him everything, everything, and the poor soul cannot say anything, because he is only shown the truth, as the angel cannot lie. He shows him both the good and the bad things. So that is what happens on the second day: the guardian angel takes the soul to all the places s/he has been to during his/her whole life. And so after having been to all the places that s/he has visited in his life, yet a more fearsome thing happens on the third day. Our soul is given yet more accompanying angels – they are six light-bearing angels, who, together with our guardian angel make seven in all – and their job is to help the soul through the terrifying toll-houses that are in the air. You have heard of the 24 aerial toll-houses. Services are done for those who want mercy from God and help them escape from the spirits of darkness in the air. The most important services that are done for the dying persons are the general Confession and the Holy Eucharist, as well as making peace with everyone. 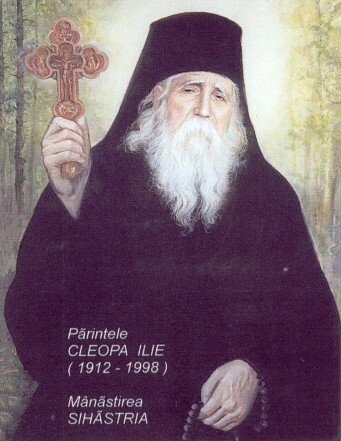 And right after death, the Holy Liturgy is served for 40 days, as well as food-sharing commemoration events that are held, along with forgiveness services and almsgiving, which help the soul best when it passes through the toll-houses – because the Church, our spiritual mother, prays at such a time for the poor soul, who is her son since the chrismation, to help it pass through the aerial toll-houses unhampered. So what happens until the soul passes through the toll-houses? That is a time when man sees how useful it would have been for him to be confessed clear of his sins. If God had not left the mystery of the Holy Confession between Him and us, no man could be saved. As Apostle Jacob says: We all make many mistakes and no one is without sin. But the mystery of Confession was left to us, between us and God; as this is the second chrismation, as the priest says – as you heard him say during confession: “Since through the second chrismation you were christened, through the Christian Mysteries”. It is at this point that the soul realises how useful it would have been for him to have already been confessed, when he goes through the toll-houses. Which is why I ask you to remember one thing: when you see that your mother, your sister, your brother, your wife, your grandchild, your father, daughter etc has fallen ill – don’t call in the doctor first, but the priest, and have them confess clear of all their sins. A person must confess four times a year all his life: during the four Lents throughout his/her life, but especially when you see that s/he’s fallen seriously ill. When you see such a thing, have the priest come with no delay, to confess the person. Not when s/he is not able to speak any more or has become unconscious, but early, when their mind is clear and their memory is still working. And tell them: father, mother, my son, tell the priest everything you have done! Ask them to write it all down, if they know they have done something, and to try to remember everything – because if you’ve managed to cause a successful confession, you will have “won” that person’s soul for redemption. Because listen to what the Holy Fathers say: Even if one has mortal sins, if s/he dies confessed, the Church will take him/her out [of the ensuing punishments]. The soul will then sit in hell only until it will clean off its sin(s), because the Holy Scripture says: Nothing unclean will ever enter the Kingdom of Heaven. Heard what a holy man says? He saw there a sea of fire and pigeons as white as snow coming out of it and soaring to the sky. That sea was hell and you could hear moaning and crying coming out of it. “How come, oh God, that pigeons would fly out of the fire?” he wondered. What was happening was that the pigeons were the souls of the righteous people who had been purified through their canons while sitting in hell and had paid up everything they had to pay. Because the Church intervenes on earth the most through the Holy Liturgy, as the sacrifice and our redemption are achieved through the blood of Jesus Christ, just as the Apostle says: His blood cleans all of our sins. If s/he dies unconfessed and if – God forbid – s/he has heavy sins and has not done his/her canon, the Christian will do that in the beyond, in hell. But it is only the Church that will take him/her out of there, through the Holy Liturgy, through forgiveness services and almsgiving and as a result of that, s/he will go to heaven. And if someone dies unconfessed from his youth and has had heavy, mortal sins, it is almost like dying without having ever been christened at all. All the services that are done here on earth for such a soul will help it very little, because nothing unclean shall enter the Kingdom of Heaven. So that is how the devils have set up the toll-houses – so that, if possible, no Christian will go to heaven. Do you know why they have such hatred and envy against people? Because the souls of the righteous are completing their numbers – the numbers of the fallen angels. This is as long as God will keep this world – as St. Symeon the New Theologian shows – until the numbers of the fallen angels shall be completed by the souls of the righteous. Don’t you guys read the Psalm book? Until the numbers of the fallen angels are completed – because there were very many of them, one third of all the angels, as the Revelation says: I have seen a large, red, devil that took down with its tail the third part of the heaven’s stars and threw them to the ground. 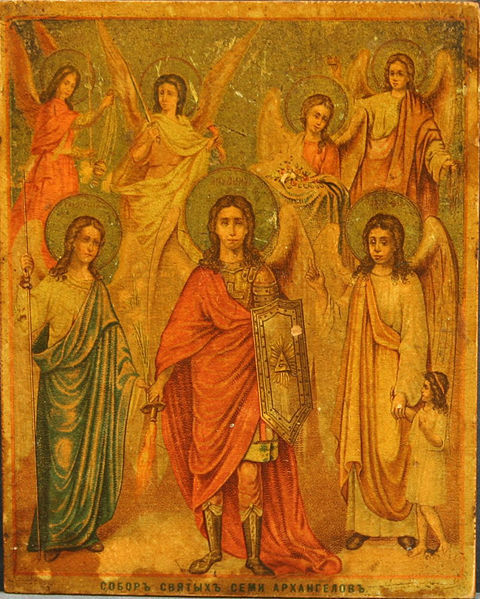 A third of the angels fell from all the Hosts, including from among the Cherubim and the Seraphim – all the angels who entertained Satan’s thought to become like God. And that is why the devils have such hatred against us, because they know that if it goes to Heaven, each soul will accomplish what the Scripture says: they will all be like God’s angels; they will replace them and take over their functions. Which is why they sit in the air and say: “There, God threw us down from the sky, but these souls down here want to pass through to God and take our places!” So then God allows the devils to stand in the souls’ way and rightfully so, because God is not only merciful, but also just and has made these stations – or toll-houses – between heaven and earth in order to cast the souls of those who died unconfessed and who carry heavy sins, into hell. This is how the toll-houses are ranged: the first toll-house is for evil-speaking; the second one, for gossiping/chattering; the third one, for anger; then follows the one for gluttony, and so on – from the smallest to the biggest sins. And who has never badmouthed anyone? Who has never got angry in his life? Who has never been lazy? Who has never drunk a glassful too much? Who has never indulged in one’s thoughts, imagination or even through one’s deeds – in debauchery, drunkenness, in doubting one’s faith and in other bodily or spiritual sins, as we read in St. Theodora’s life? – How do the devils know all these things? 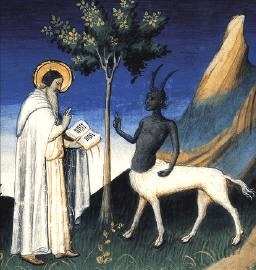 You should know, however, that ever since our chrismation, besides our good angel, who stands to our right, we also have a servant of the hell masters, a devil that sits on our left shoulder. That devil will write down every bad thing you have done and said and all the sins that you have done all throughout your life. All that time, the good angel will write down both the good and the bad deeds, as the Holy Book says. That is what Christ’s Church holds. Now let’s see what happens to the soul of a confessed person, when the devil comes along with his “paper-roll” where he has written all the man’s sins. He will not find them there any more! At that point the devils yell, shout, and become furious that the soul, who had big sins, like abortions, debauchery, theft, cursing, drunkenness, and other things, does no longer have anything written in his record. When the Christian is forgiven through the priest on earth, the Holy Spirit erases all his sins in that record-book. Christ’s word that says: Everything that the priest forgives on earth will be forgiven in heaven, too – haven’t you heard that? And whatever he does not forgive on earth will not be forgiven in heaven, either. Therefore, the mystery that confession is – is so great, that it has the power to cleanse man of any sin and give forgiveness for all his sins. Yet only if man was wise during his life on earth and confessed correctly will s/he cross the terrifying aerial toll-houses easily on the third day. And his/her good deeds are weighed against the bad deeds. The good deeds are like gems, while the bad deeds are like ordinary stones or other heavy things. – Don’t be afraid, brother soul, as one never knows God’s judgements. Don’t be afraid! – Please, my good angels, sirs, don’t leave me! I am so afraid of these! – Don’t be afraid, brother soul, as you are with us! We are God’s guards and our job is to accompany you! May God forbid you from falling into their hands after 40 days! But don’t worry for now, as we are here to guard you! So on the third day, the soul goes through the toll-houses and it is precisely at that moment, three days after he left his body, that he is presented for the first time before the Throne of the Most Holy and Life-giving Trinity. And what does he see there? The Holy Scripture says: Nobody has ever seen God. But what does the soul see, then? Since everybody saw Lord Jesus Christ – and wasn’t He God? Abraham saw Him, Moses saw Him; but they saw Him by allowance, as an imagined figure, as He wanted to show Himself. Otherwise, nobody has ever seen God’s Being, neither the Cherubim, nor the Seraphim. God’s Being is inaccessible to any rational mind in heaven and on earth. So what does our soul see on the third day when he arrives before God’s Throne for the first time? This is what he sees, according to the Holy Fathers’ testimony: an indescribable shining light, which is billions of times stronger than the sun, and feels the scent of the Holy Spirit. He hears the Cherubim and the Seraphim chanting, as some sky-blue and golden clouds appear, drifting eastwards and the angels kneel on them together with the soul. And the clouds come to a halt, facing eastwards. Because that is why – remember this – that is why we make the sign of the cross facing east when we do our prayers; because God’s throne is in the east. Have you seen what the Holy Scripture says? And they planted the heaven in Eden, eastwards. Haven’t you heard what Isaiah says? East is His name. Haven’t you read what the Psalm book says, that you have in your houses? God climbed above the heavens of heavens, towards east. So the Throne of the Holy Trinity is in the east. So the clouds halt, with the angels and the soul kneeled on them. And on this third day, they hear this voice, in Abraham’s language: “Take this soul to Heaven for six days.” – as it is for six days that our soul will travel through Heaven, with the speed of thought. So then the angels take the soul away and with lightning speed, they take him to the Gardens of Heaven. When the soul gets there with the angels, nobody can describe the beauty he sees. It is at such a time that he notices that a flower in Heaven – as St. Andrew says – is more precious than all the peoples of the world and than all the ornaments and riches of our time, because that flower has life and never withers or dies out. There, the soul sees, as I’ve said, “the Heaven of pleasure”, “the Palace of the New Zion”, “the Heavenly Jerusalem” and all the other things that the Holy Scripture describes. Moreover, an unspeakable joy to the soul is when he hears the chanting of the millions of angels, Cherubim, and righteous souls who sing there. Then he sees the tents of the righteous, about which they say at the Panakide, as St. Cosmas says, who visited Heaven when he was still on earth. There is such beauty that one could admire only in that place alone! He then arrives at some orchards that cover endless areas. Golden-leaved trees appear, with golden flowers and underneath each tree there is a tent and inside the tent is a golden table, and in those trees birds with wings of indescribable beauty sit, that never die. And the soul wonders that one soul’s tent is made of silver; another soul’s tent is made of pearls; another one, of jacinth; another one, of onyx; another one yet, of sardonyx; others yet – of amethyst, ruby, sapphire, and all the other precious stones that the Revelation tells about. He sees that the tables aren’t similar, either. And the trees bear 70 types of fruit on every branch. Even the leaves of the trees sing, as well as their flowers, and birds; and milk and honey streams flow through those orchards that are as clear as mirrors. There is also a prevailing scent of the Holy Spirit that man cannot describe. But the biggest joy of all, upon the soul’s passage through Heaven is this: the moment he meets with his relatives. Brothers, let me tell you that in all of our families, we have some members that are in Heaven and others that are in hell, as God is just. Those who have done wrong have gone to hell and those who have done good deeds have gone to Heaven. And when you get to Heaven, you don’t only recognise your grandfather or great-grandfather; but far many more souls than that. If I asked you now: “Do you know your great-grandfather who lived 300 years ago?” – where would you know that from?! You’re barely familiar with the ones who lived 50 or 60 years ago. But up there in Heaven people recognise one another. St. John Chrysostom says: “Are you asking me if the souls know each other in Heaven? 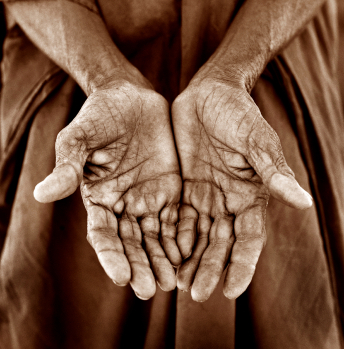 Consider the Scripture about the rich man and poor Lazarus. When did the rich man die and when did Abraham die? At a distance of thousands of years yet they knew each other and talked to each other”. Up in Heaven, all your relatives who are in a good place – and dwell in golden palaces and precious stones and orchards – come to greet you and say: “You, grandson! You’re X’s son, or Y’s daughter, from that country and that village. We are your relatives. We died 100 or 300 years before you. You are X’s son; you don’t know us, but we know you. We know where you’re going. You’re on your way to your particular/individual judgement. After 40 days a decision will be made on where you will go – to Heaven or hell. And that is how his relatives and angels speak while they accompany him during the six days that they walk through Heaven. When the soul hears that he will not stay in Heaven – as he initially thought, that he’ll stay there forever – for all the great joy that surrounds him in Heaven, he will become sad and start crying heartily. – So I will not stay here? he asks his guardian angel. – No, the angel replies. Your passage here is only to show you briefly what God-fearing people have earned and what the unfaithful ones, who have not honoured God, have lost. So this is how the soul spends his six days in Heaven – and with the third days until he got to the Throne of the Holy Trinity, that makes nine. And after the nine days, again, the angels will come like lightning on clouds and will take him before the Most Holy Trinity, in the distant, thinking, Light. [Again,] he does not see God, as neither the Cherubim themselves do; there is only light – indescribable light [all around]. At which point the angels take the soul and lead him south-west, to the places of hell, that have no limits. And that is when the soul sees what the Holy Scripture describes as “the lowest Hell”, “the Fountain of the deep”, and “the Lake of Fire” in the Revelation. That is where he sees the sleepless worm, about which our Lord Jesus Christ spoke; he will see the unquenched fire, the hell pit, the black fire that is billions of times hotter than earthly fire and whose depth has no limits. That is where he sees the inner and outer darkness and hears the gnashing of teeth and sees the Tartar and all the other things you hear mentioned during the Holy Liturgy and read about in the Scripture. Just as the soul was rejoicing earlier upon seeing his relatives in Heaven, so s/he grows sad now, upon seeing these relatives who have been sent to punishments for their sins. And the 30 days in hell pass and with the 9 since he returned from Heaven, they add up to 39. And on the 40th day, the angels take him to the Throne of the Most Holy and Life-giving Trinity, for the third time, in the distant, thinking light, for worshipping. And it is then, after the 40 days, that the soul hears the voice speaking to him in Abraham’s Aramaic language, if s/he is righteous: “Take this soul to Gan Eden.”, that is, to the place of boundless happiness and joy; and if, God forbid, s/he is sinful, s/he hears: “Take this soul to Sheol or Hades” – that is, to hell and torment. For all their kindness and merciful nature, upon hearing God’s command to take the soul to hell, God’s angels will take it there. – God’s most-holy and most-kind angels, please don’t leave me! Where are you taking me? In whose hands will you give me? Who will get me out of there now? Who will take mercy upon me now? Who on the face of the earth knows to what torments I am going now? But the angels cry and tell him: – Brother soul, we are God’s servants, we follow His commands. We cannot do anything above what the Creator commanded: to take you to the good or to the bad places. So if – God forbid – the soul has led a bad, sinful life, without having repented, they take him to the bad places, and if he is good and has observed God’s commands, they take him to Heaven. So it is all up to his good or bad deeds. That is what happens 40 days after his death. Which is why the Church, our spiritual mother, takes great care in commemorating every reposed person after 3, 9, and 40 days, because that is when the decision is made where our soul will go – to the good or the bad place. Once the 40 days have passed, there is only one little “exit gate” remaining for the soul. 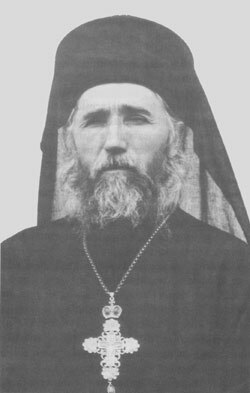 If the soul has lived in the true Orthodox faith and has been a true son of the Church of Christ and if he has not fallen pray to some sect or any other heresies or heavy sins and if he confessed and took the Eucharist, the Church can take him out of its hell punishment through its holy services and almsgiving. The Church is our spiritual mother, from which we are born through the divine chrismation, through water and Spirit. The Church is the pillar and strengthening of the truth; the Church is the body of Christ; the Church is the Lamb’s Bride, as the Revelation says. This is why the Church has much boldness before its Head in heaven, Lord Jesus Christ. You have heard what Christ says in the Scripture: I am the stock, the vine – that is, the trunk of the tree – and you are the branches; all the vines that stay within Me will bear much fruit, and those that do not stay within Me, will be cast into fire. So, mind this! Whoever does not stay within the Church, does not stay within the Body of Christ. Whoever has broken away from the Church – like all these sectarians who have left it and spread throughout the world, since only in Europe alone there are 800 sects – they are all weeds in the wheat; they are Satan’s seeds. God, says the Scripture, haven’t you planted good seed in Your land? Where do the weeds come from? A wrathful man, — that is, the devil, has done that. Sectarians are weeds that have grown in the shadow of the Church, people of distorted minds and faith, by which Satan wishes to lose others, too. Don’t listen to them! Whoever has broken off with the Church, has severed himself from the body of Christ. To give you this example: if that tree over there were covered in bloom or fruit – a well-bearing tree – and a small twig fell off under the weight of its fruit, is that twig still going to bear fruit? What will happen to it? It will dry out and it will be thrown into the fire. The same thing happens to the soul that has broken off with the Church – it has broken away from the body of Christ. Because the Church is – as Apostle Paul says – the body of Christ. And that little twig, that soul that has broken off with the Church will never ever bear fruit, neither will it gain salvation. Because the Holy Spirit and the sap of the Holy Spirit comes only through the placing of hands, having been handed down all the way from the Apostles to the Bishops, from the Bishops to the Priests, and from the Priests it works down among the faithful, through the Mysteries that God decided that the Priest will prepare, as “economer” of His Mysteries. The Holy Spirit does not come into the Church in any other way. Beware! Run away as fast as you can – like from the devils, from all of those who teach you not to worship the Holy Cross or to the Holy Mother of God, or not go to church or not listen to the priest. These people come with Satan in their hearts and in their mind, to break you away from the Church, from our dogmatic truth, from our Orthodox faith, which has remained unchanged for 2000 years, since Christ. Sects mushroom nowadays. Most of them come from the West and originate from individuals that are sick in the mind. I have a sectology paper that was printed in Bucharest and I have shown there their history, where they come from, and their purpose. They come with the purpose of breaking our faith and our nation, and lose our souls! Do not leave the ship of salvation. Do not leave the Church of Christ. The Church is our spiritual mother. She has born us through water and Spirit, upon chrismation. So, honour the Church and its Priests and Archierarchs, and the Holy Synod. Stay near the Church that has been always ours. Be good Christians and citizens and fulfil Apostle Paul’s command: Render therefore to all their dues: tribute to whom tribute is due; custom to whom custom; fear to whom fear; honour to whom honour and let no debt remain outstanding. It is said in the Epistle to the Romans: Let every soul be subject unto the higher powers. For there is no power but of God: the powers that be are ordained of God. And again: Whoever therefore resists the power, resists the ordinance of God. There is this cursed sect that has appeared, which is very dangerous to the country and the Church, called “Jehovah’s Witnesses”. These are the staunchest opponents of government and Church. Run away from them like from the devils, like from Satan! Not only that these folks aren’t Christian, but they are worse than all pagans – because they neither recognise the Church, nor the government, and they do not believe in Christ. Watch out for every sect, remain sons of the Church of Christ, just as your parents and your grandparents and your ancestors have been from times immemorial. Stay within the Church, stay next to our mother, who is the Church. Because – God forbid – even if a man goes to hell for his sins, the Church can still take him out through the holy Liturgy, commemorations, almsgiving, and sacrifice. There is no salvation outside the Church. Whoever has left the Church no longer has Christ, because the Church is the body of Christ. Whoever has left the Church is no longer a son of God through the Gift of chrismation, but a son of Satan, for having broken off with his spiritual mother and followed his own mind and got lost. God help you all. With that, I will end and I pray for all of you to have fear of God and never forget to pray – and also please pray for us sinners. Amen.